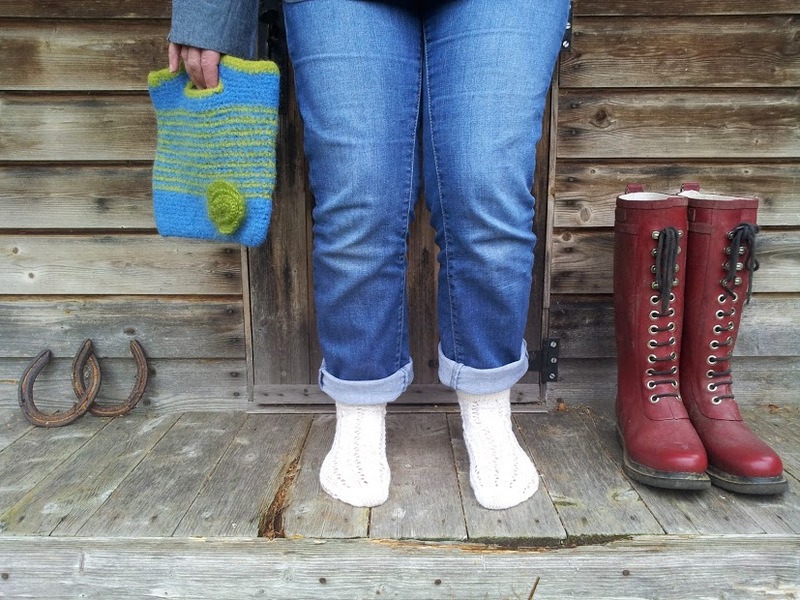 This week I wanted to write about the popularity of small batch wools. Like Gin, the profile of small scale wool producers, who process and market their own product is on the increase. 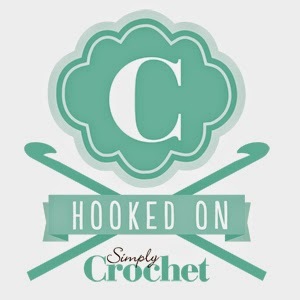 I’ve been really surprised this year by how many yarn bloggers and podcasters are featuring this “new phenomenon”. Small scale single breed production is not new, but discovering and accessing these yarns is certainly becoming easier and there is a growing market for wool with a local, traceable provenance. In Cumbria we’re lucky to have the Wool Clip (which has been around since 2001), a co-operative of fibre producers, makers and artists, many of whom raise and process their own wool. One of my favourites is Ruth Strong’s Herdwick wool, a real bargain and it’s fabulous quality. If the Wool Clip name sounds familiar to you, it may be because they are the organisers of Woolfest.. But there are other small scale co-operatives and sources of small batch, local production wools if you know where to look. I’ve written before about the amazing quality and colours of Lily Warne wool, which I first discovered when the wool was featured in Country Living magazine. It’s definitely up there among my favourites. The felted wool bag, made a couple of years ago is still in daily use and is a real conversation piece. I love being able to tell people where the wool grew and who I bought it from. For a long time, the only way to discover local, single breed wools was to befriend your local Guild of Spinners, Weavers and Dyers or to visit local fairs. These days there are some brilliant online resources. My current favourite is the National Sheep Association, where you can find links to all the British Sheep Breed societies. Some, like the Jacob Sheep Society have a fabulous list of producers which make it very easy to track down wool from specific breeds. I must admit, a lot of the single breed wool I buy sits in a cupboard, part of a growing collection of mementoes from summer holidays, trips to woolly events and gifts from friends. 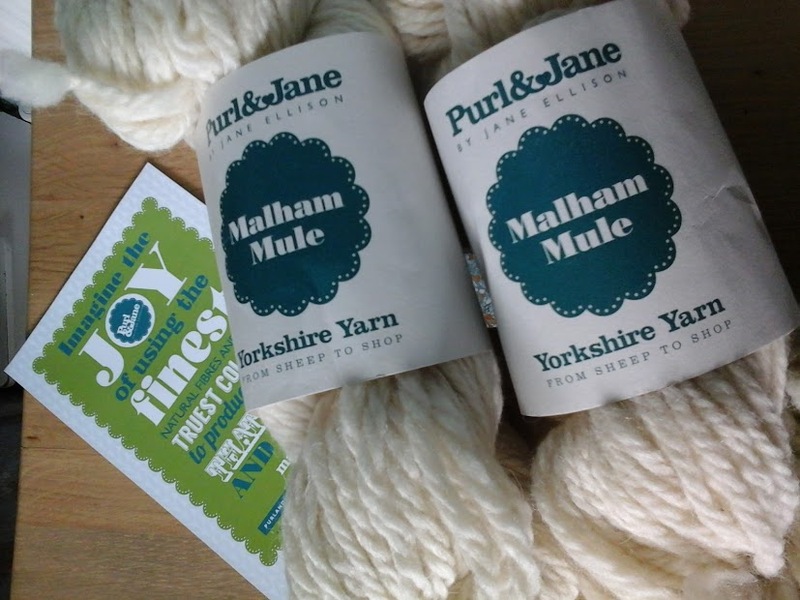 But at Yarndale this year I was thrilled to discover Malham Mule, a yarn which is raised and processed in Yorkshire. 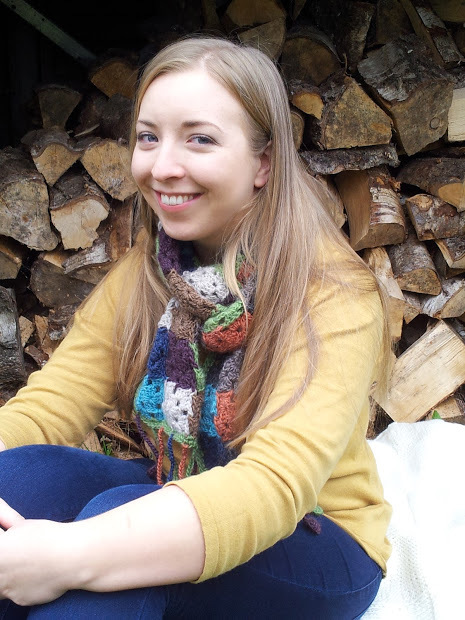 This “own brand yarn” is a new venture for Jane Ellison of Purl and Jane in Skipton. I couldn’t resist trying it out and I have tried knitting and crocheting with this plump, superchunky wool and I love it. I love it even more because I’ve watched the sheep graze, and knowing the story of how it came from field to shop is fascinating. You can read more about Malham Mule on Jane Ellison’s website. The collar (Pictured above) took two hanks of Malham Mule wool and paired with some real leather straps it’s proper draught excluder. Sadly the weather has been too mild to road test it properly, but I’m off to Malham at the end of this month and I’m hoping for some “proper” weather to test it out. 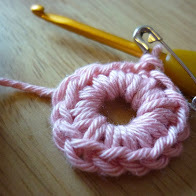 I may even get around to typing up the pattern for you all! All through November I’m posting about real wool in support of the “Wovember” campaign and I’m pleased to say lots of other knitwear designers are getting involved this year too. 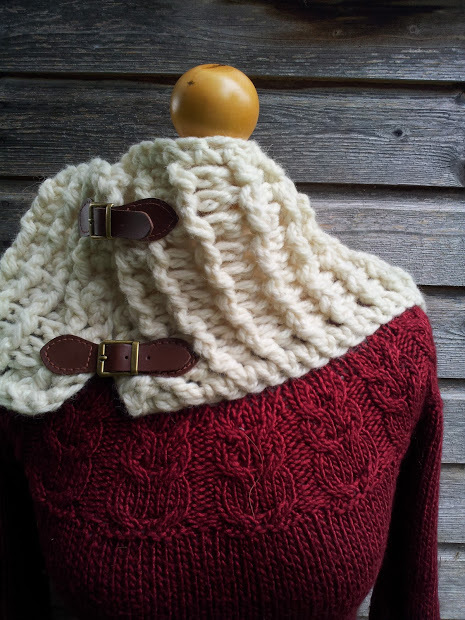 Sarah Hazell has launched a Knitalong over on her blog featuring Wendy Ramsdale, which I wrote about in my last Wovember post – see photo below for a reminder of the lovely scarf (and lovelier model). Go and take a look at Sarah’s design and maybe join in? 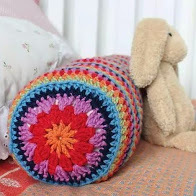 Love the wool from Purl & Jane and the patterns are good as well. I first discovered the shop when I visited Skipton a few years ago. Nice post!!! I love yarn too 🙂 and those boots are wow!!! Lovely..